I have a chippy vintage cupboard in the dining room for storing all the extra dishes and glassware for entertaining. And this spot is usually one that will get a fresh wreath accent or something simple like a sprig of pine. But a holiday swag is absolutely perfect here, I think. 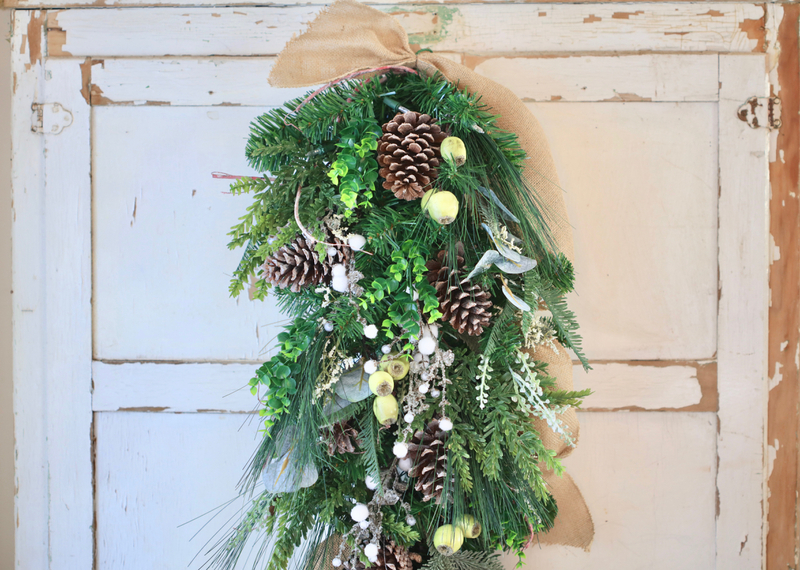 It is simple and charming and adds the right touch of greenery without overwhelming. With garlands and fresh greens in abundance on the stair railing, a swag makes the perfect accent the end of the banister. It adds a bit more Christmas oomph to catch the eye as you make your way upstairs. 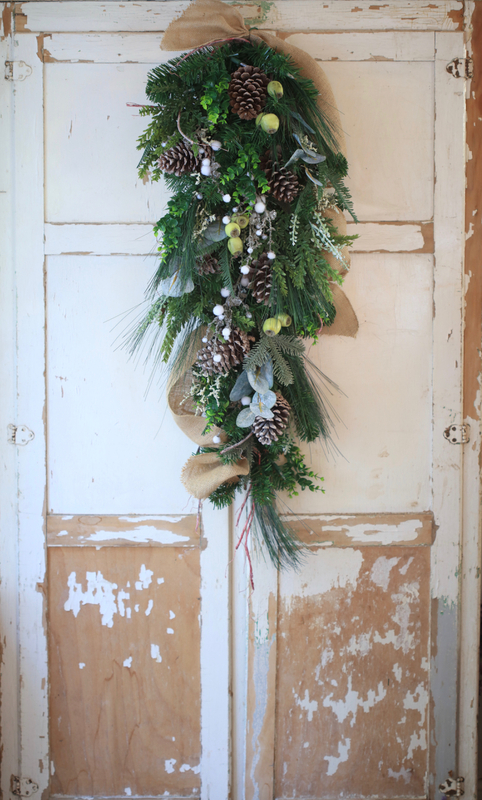 I simply tied this one to the top of the newel and let it hang down in front of the post for a dose of simple charm. Who says that only entry or exterior doors deserve a sprinkle of Christmas charm? I love to feel Christmas all through the house. Place a swag on a bedroom or office door, or even an antique architectural piece such as this door I used to add a bit of interest in a room. 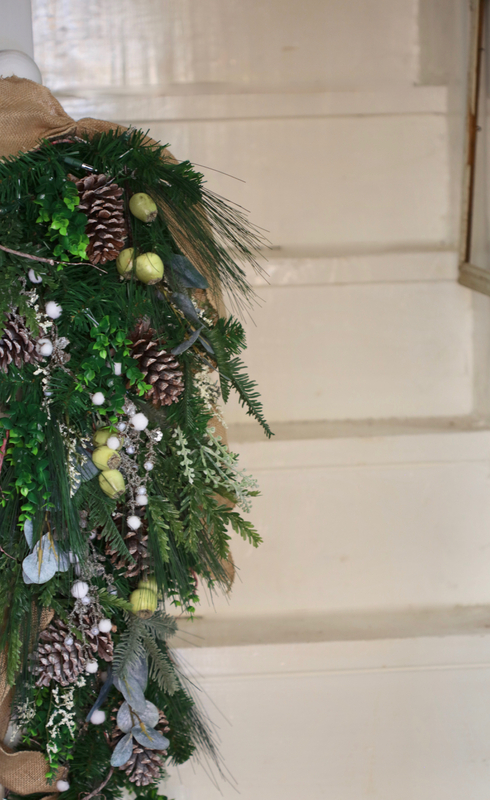 A simple door or a detailed antique door is perfect for adding a wreath or greenery, too. 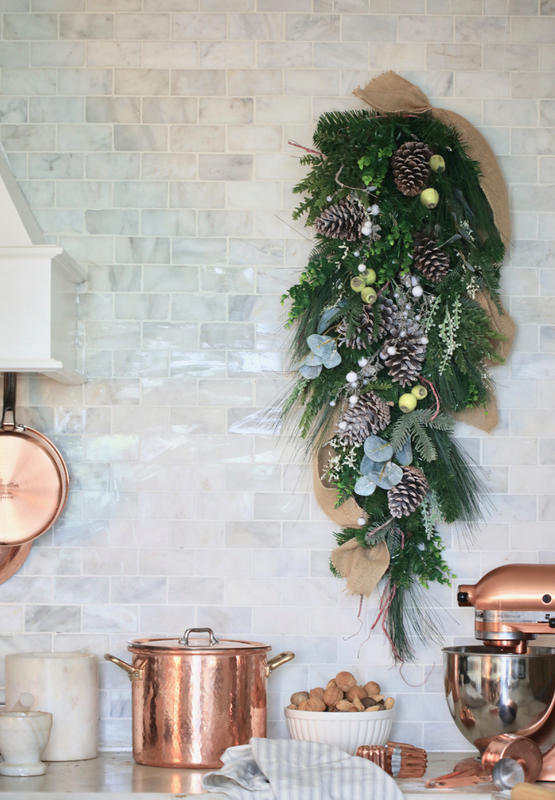 If you have a blank wall in the kitchen, why not add a bit of Christmas to it for the season? We have a large blank wall next to our range where I usually stack antique breadboards. 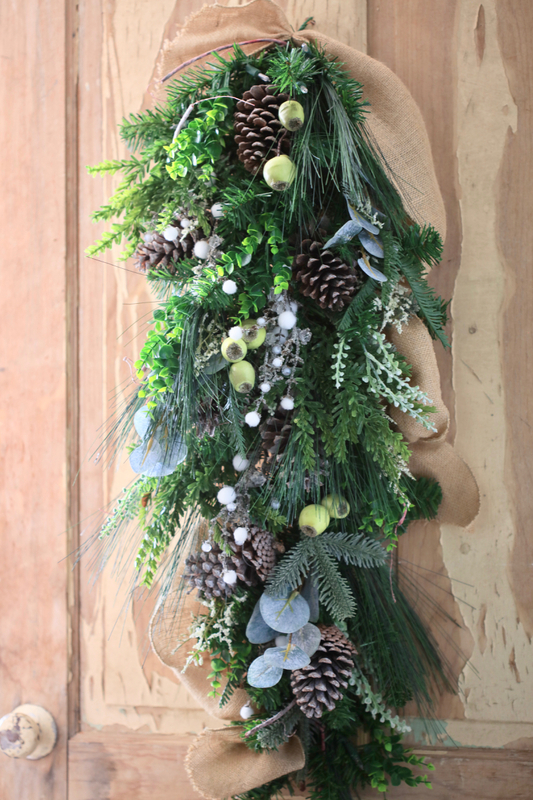 But for the holidays, I like to add a bit of Christmas cheer with a wreath or bunch of greenery. This swag brought a perfect festive touch to the corner. 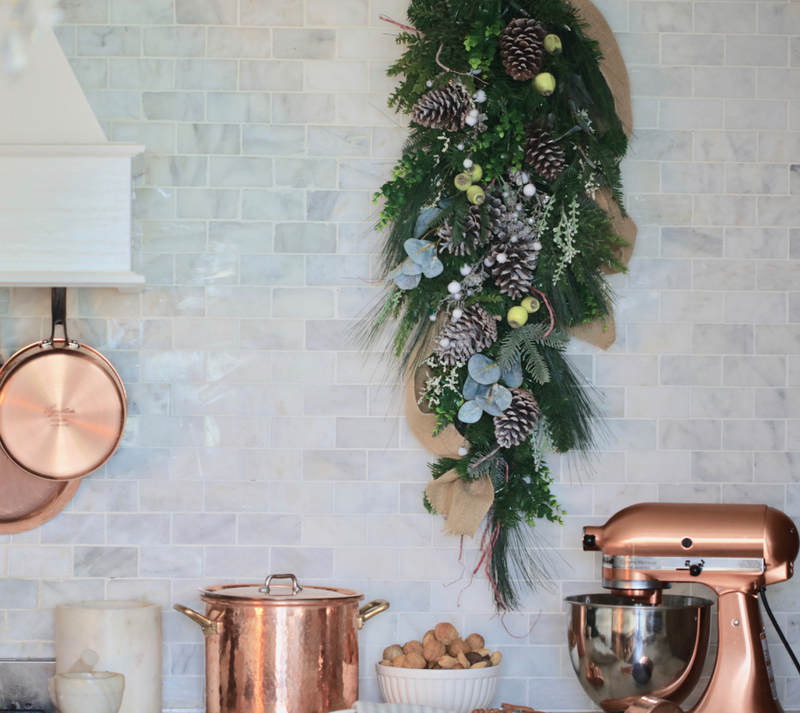 Anytime you are adding seasonal cheer throughout your home, just remember that if you like it then it is perfect. 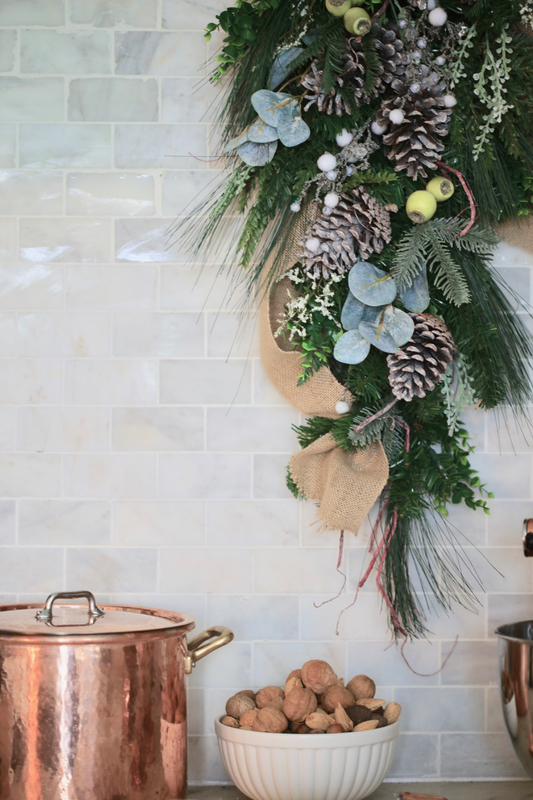 And a charming swag has so many options for sprinkling a bit of holiday goodness in any room. How do you decorate your home with greenery? Share it with us in the comments! You can see more holiday foliage and greenery at Balsam Hill.